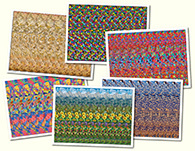 Cartoon Stereogram Gallery : Robocat : Stereogram Images, Games, Video and Software. All Free! 1. Robo Cat and mouse! 6. 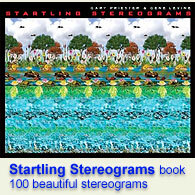 That is the most amazing stereogram i have ever seen!!!!!!!! Very nicce!!!!!! 28. very good!!congratulation!! a robot cat and the mouse..is the mouse a robot to? 32. robot cat and a mouse..
37. I like the idea. 55. I like it but I would like to know what the object to the right of the cat and mouse. 89. ÃÃ²Ã«Ã¨Ã·Ã­Ã Ã¿ ÃªÃ Ã¯Ã·Ã ! 90. Russian is not allowed. 145. ÃÃ²Ã«Ã¨Ã·Ã­Ã Ã¿ ÃªÃ Ã¯Ã·Ã ! 162. ÃÃ Ã¯Ã·Ã -Ã±Ã²Ã¥Ã°Ã¨Ã®ÃªÃ Ã°Ã²Ã¨Ã­ÃªÃ - ÃµÃ®Ã°Ã®Ã¸Ã® ÃªÃ®Ã£Ã¤Ã Ã§Ã­Ã Ã¥Ã¸Ã¼ ÃªÃ Ãª Ã½Ã²Ã¨ Ã±Ã²Ã¥Ã°Ã¨Ã®ÃªÃ Ã°Ã²Ã¨Ã­ÃªÃ¨ Ã¢Ã¨Ã¤Ã¥Ã²Ã¼. 170. Cool for one-eyed folks. 202. Can someone tell me what br means. 203. I m a robot.